The Bay of Quinte is home to some of the best walleye fishing in the world, and the best part about it is that you can drop your line year round. Zigzagging from Carrying Place in the west to the eastern tip of Prince Edward County in the east, the Bay is made up of hundreds of small inlets, tucked away honey holes and tributaries that are perfect for snagging walleye, salmon, pike and panfish. (Largemouth and smallmouth bass are also plentiful, but their season only opens in mid-June.) Although the first recorded people to fish these waters were likely Quebec missionaries in the mid-1600s, the bay had sustained the Iroquois people long before that. The City of Trenton sits where the Trent River meets the Bay of Quinte, and it’s just offshore here, in Trenton Bay, and further west near the Murray Canal where you’ll find some of the best walleye fishing in the region. Further east, where the Moira meets the Bay of Quinte is Belleville Bay, another great location for walleye, as well as largemouth and perch. The islands and inlets around the bay make for some excellent fishing spots. Continuing east, past the Bay Bridge in Belleville to Deseronto, is this long, narrow area known by locals for its large populations of smallmouth and walleye. About 10-km south of Deseronto is Hay Bay. The eastern end is shallow and weedy, which makes it great for largemouth fishing, but in the western end it gets deeper, making it perfect for walleye trollers. 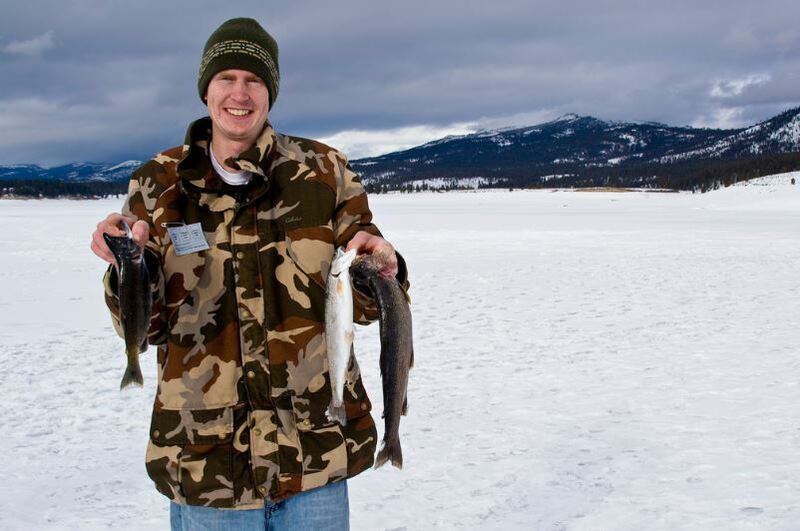 If you’re new to the area or new to ice fishing altogether, consider going out with a guide, who can help gauge whether the ice is strong enough to hold a fishing party. Here are some of the many guides in the area, that can set you up with equipment, transportation and tips on how to catch that 10-pounder. Merland Park Cottages on the Bay is open year round. Whether you are looking to spend some quite time relaxing or up for exploring the outdoors, Merland Park has what you are looking for. Spring through autumn, the fishing is widely acclaimed! Your guide will be Captain Dave Chatterton, a professional fisherman and guide for over thirty years who’s been recommended by the North American Fisherman Club, and been featured on the Rod & Reel Streamside and The Ultimate Fishing television shows. Scott Walcott and his wife, Sophie, run the Picton Harbour Inn, so accommodation packages are available. Fully guided tours are available year-round, with a fully-enclosed pilot house vessel to keep clients warm and comfortable regardless of what mother nature throws your way. 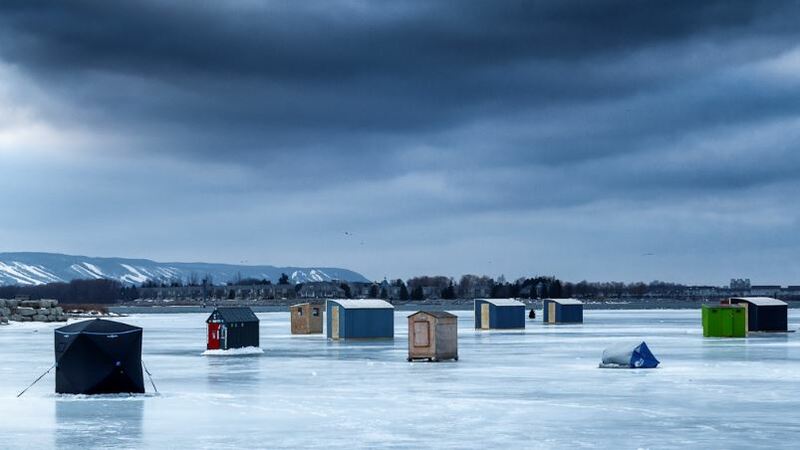 Organized by Daniel Stone, Muddy Waters Outfitters provides wooden and clam ice shack rentals (with propane tank), flasher unit rentals and lunch with a full day of guiding. Be sure to check ice conditions – looks can be deceiving. And be sure to review Ontario’s fishing regulations before embarking on an ice fishing adventure. This blog also appears on The Great Waterway site.